Results - La Cava & Jacobson, P.A. Lou La Cava and Justine Adamski received a defense verdict after a 6-day trial in Sebring, Florida. The Plaintiff alleged that the Defendant was negligent for performing an endoscopic retrograde cholangiopancreatography (ERCP) which they argued was not indicated. Plaintiff also alleged the procedure which could not be completed was performed negligently and resulted in the complication of acute pancreatitis. Finally, the Plaintiff argued that the complication was negligently treated resulting in the death of the Plaintiff. The Plaintiff asked for nearly 3 million dollars in damages. The jury returned a verdict in less than two hours finding that the Defendant was not negligent. Lou La Cava and Justine Adamski obtained a dismissal of their client after two weeks and one day of trial. The Plaintiff alleged that the Defendant was negligent in not diagnosing and treating a pulmonary embolism resulting in death. The decedent left three survivors. The Plaintiff continued to try the case against the remaining defendants. Lou La Cava and Jim Wetzel obtained a defense verdict in a case tried in Hillsborough County. The Plaintiff alleged that the Defendant was negligent in not timely diagnosing an esophageal tear. Plaintiff alleged permanent injuries, scarring, loss wages and pain and suffering. The jury returned a verdict finding the doctor not negligent. 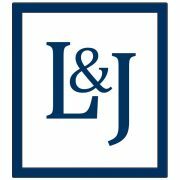 Lou La Cava and Kari Jacobson obtained a defense verdict in a case where the Plaintiffs alleged that a delay in performing a c-section caused the baby to be born with brain damage. The Defendants argued that the child was born with autism as a result of developmental malformations in the first or second trimester of the pregnancy. After a 7-day trial the jury returned a verdict finding the two doctors involved in the care of the patient not negligent. The jury returned the verdict after 40 minutes of deliberations. Lou La Cava and David Young obtained a defense verdict in Pinellas County. The Plaintiff alleged the Defendant was negligent for not diagnosing a ruptured Achilles tendon resulting in permanent injury due to the delay. The jury determined that the Defendant was not negligent, returning a verdict for the defense. Lou La Cava obtained a defense verdict in a two-week case in Clearwater, Florida. The Plaintiff alleged that the Defendant neurologist failed to order a brain MRI while treating the Plaintiff for a history of headaches and neck pain. The Plaintiff was ultimately diagnosed with a very large pituitary tumor which could not be totally removed due to its size and involvement with other structures. The Plaintiff asked the jury to award in excess of 10 million dollars. The jury returned a verdict finding the Defendant not negligent. Lou La Cava obtained a defense verdict in a case tried in Hillsborough County. The Plaintiff alleged the Defendant did not aggressively treat an infection after abdominal hernia surgery with mesh. Plaintiff went on to have his mesh removed resulting in loss of abdominal domain requiring additional surgery. Plaintiff alleged since the surgery he was totally disabled with chronic pain. In defense it was argued that the infection was appropriately treated, but in spite of that the mesh infection could not be cured which is a known complication of the procedure. The jury found no liability on the part of the Defendant. Lou La Cava and David Young obtained a defense verdict in a wrongful death case that also included claims by four family members of intentional infliction of emotional distress arising out of the manner in which they discovered that the decedent had died. The Plaintiffs alleged that our insured physician negligently failed to diagnose a lacerated spleen leading to death in the emergency room 4 hours after arrival. The defense successfully argued that our insured physician appropriately considered the rule-out diagnosis of lacerated spleen but the radiologist misread the CT as showing no solid organ injury. The defense also emphasized that trauma surgeons had decided to admit the patient for observation and that it was the hospital whose employees showed the family the decedent’s body without them knowing he was dead. The Plaintiffs asked the jury for a verdict in the multi-millions. The jury returned their verdict finding no liability on the part of our insured physician on both the wrongful death claim and the intentional infliction claim in just under two hours. Jason Azzarone was successful in securing a summary judgment in a premises liability case in which the firm represented a large hotel chain. The Plaintiff alleged that he was legally on the premises. While on the property, the Plaintiff slipped and fell, suffering an injury to his shoulder which required surgery. A motion for summary judgment was filed on the basis that the Plaintiff’s status on the property was that of either a trespasser or an uninvited licensee as he was not on the property for any purpose for which it was intended. Mr. Azzarone also argued that there was no evidence of a breach of duty owed to the Plaintiff. The Court agreed and specifically held that as a matter of law, the Plaintiff was not on the property for any purpose for which it was intended and therefore, his status was either that of a trespasser or an uninvited licensee. In light of this finding, and in light of the fact that there was no record evidence of any breach of duty owed to the Plaintiff, the Court granted final summary judgment on behalf of the hotel. Lou La Cava and David Young obtained a defense verdict in a case wherein the Plaintiff alleged that he developed a compartment syndrome after removal of the fibula to reconstruct his jaw resulting in an above-knee amputation of his right leg. Plaintiff claimed this should have been diagnosed earlier and, if so, his leg could have been saved. Although our insured physician mentioned compartment syndrome as a contributing cause of the patient’s problem, it was argued at trial that a post-operative infection led to the amputation. The jury returned the defense verdict in 30 minutes.